Ludden Grad Seeks Faith-Filled Future at Catholic U.
Jesse Williams was the 2015 salutatorian at Bishop Ludden. Jesse Williams is not your ordinary college freshman. 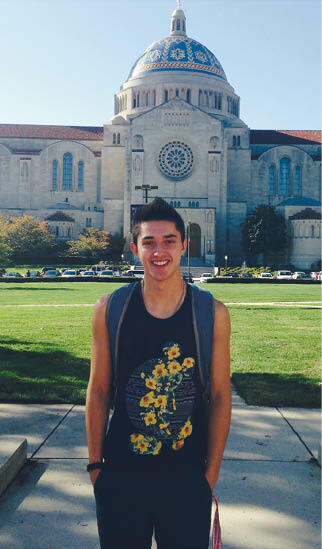 While, like many, he is excited to be away at college making new friends, experiencing new things and making his own choices, he is also surprisingly attuned to the Catholic faith and is an extraordinary young man at only 18. 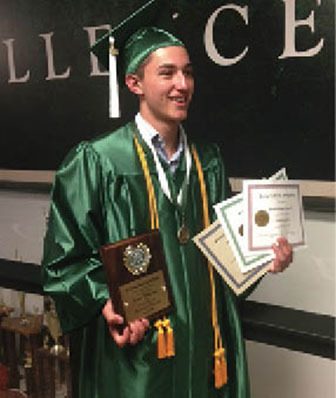 Williams, the 2015 salutatorian at Bishop Ludden Junior/Senior High School, had many outstanding college options to choose from last year, but one criterion stood out. “I wanted a college with a faith-background because I love the faith,” he said, adding that he was also looking for a traditional campus feel close to a big city. He ultimately chose The Catholic University of America in Washington, DC, where he is currently studying mechanical engineering and growing in his faith day after day. Williams was raised Catholic, but he said he started to feel a special pull toward the faith in 5th or 6th Grade while a student at Holy Family School in Fairmount, NY. Through his middle school and high school years, he became involved in Holy Family Parish’s youth program, which brings together young parishioners from both Catholic and public schools interested in socializing in a faith-filled environment. He admits it took him a long time to become comfortable with being a teenager absorbed in the faith. However, the summer before he started 9th Grade, Williams had “an experience with God that altered my life forever” and “brought me peace and fulfillment.” He reluctantly attended a Catholic retreat at Franciscan University in Steubenville, Ohio, where he was expecting “four days of kneeling in prayer and listening to Gregorian chants.” What he found was so much different. Following that experience, Williams became more heavily involved in his church youth group, known as LifeTeen. In addition, he led Adoration events a couple of times a week at Holy Family Parish, along with leading his school Masses at Bishop Ludden. His favorite activity was playing guitar, piano and singing. “It’s great to be relaxed and praise God through song. That’s my passion,” he said, noting that his method included intervals of silence between the music for personal reflection. Williams has since brought these talents to Catholic University and has plenty of opportunity to share his passions with others. “I’ve found plenty of people here who are in love with the faith like me,” he said. It seems that college life is “awesome,” too. Williams is happy to have chosen The Catholic University of America and spends his time just like any other young freshman living and learning in the nation’s capital. He sometimes goes sailing on the Potomac River, plays games of bubble soccer and basketball, and every Wednesday night attends the school wide Adoration, while also keeping up with his studies. Currently, Williams is majoring in mechanical engineering, and although he is keeping his options open, he aspires to someday work for or start a company that uses the skills and tools of engineering to aid parts of the world in desperate need. “Recently, I came across a documentary about an organization known as Billions In Change. This organization, which was founded by Manoj Bhargava, the creator of Five Hour Energy, uses the tools of engineering to help people across the world, especially the poor. Already in their invention shop, named Phase 2 Innovations, engineers have built new machines that produce free electricity, transform salt water into drinkable water and improve health. “This is what I want to do, to use my gifts and talents to help those in need,” he explained. Williams has also considered a religious vocation, but at this point he feels that he is being called to the married life someday. “I don’t feel that He is calling me to the priesthood, but if that’s what He wants me to do someday, I’m open to that,” Williams said. 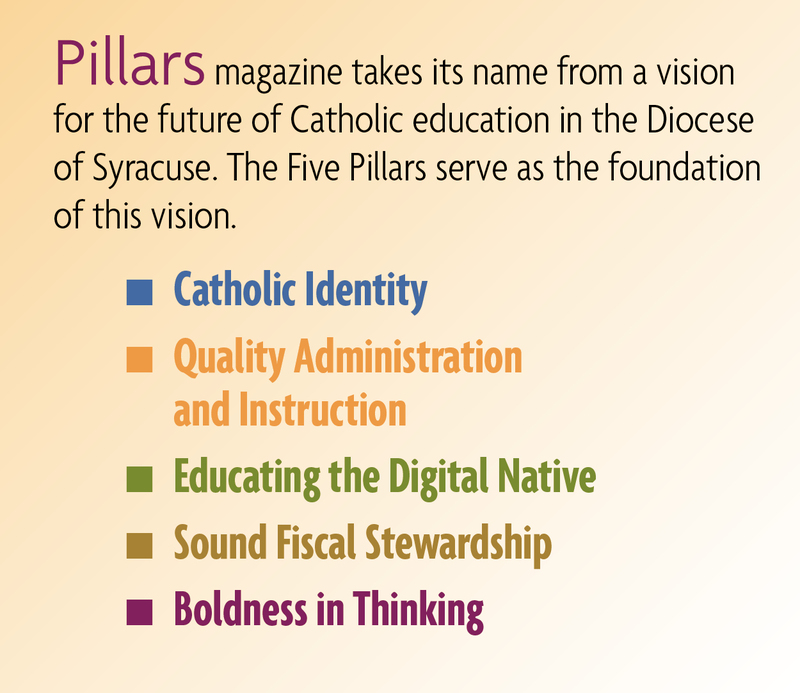 Caroline K. Reff is a freelance writer in Syracuse, New York, and a special projects consultant for the Catholic Schools Office.